Trabeculectomy is a surgical procedure used in the treatment of glaucoma to relieve intraocular pressure by removing part of the eye’s trabecular meshwork and adjacent structures. 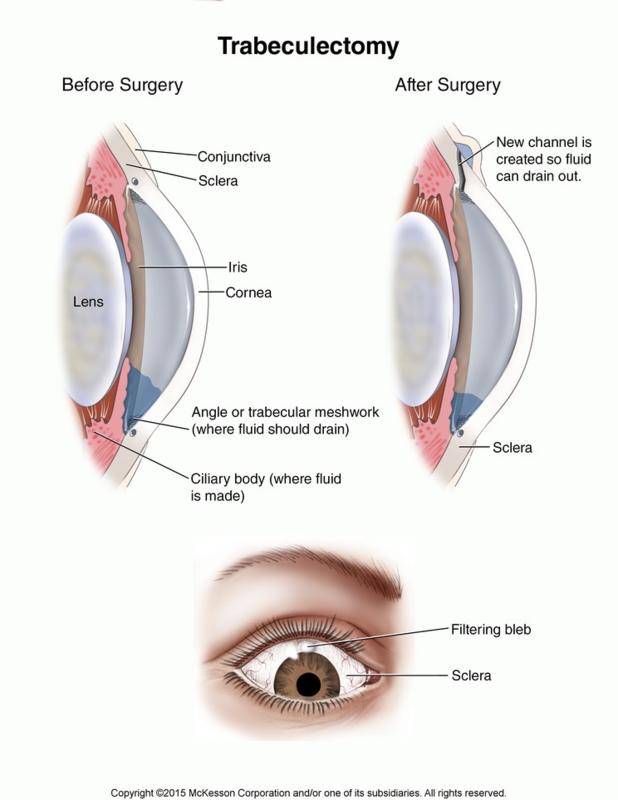 The new opening created by trabeculectomy allows fluid to gather under the tissue that lines the eyeball (conjunctiva), where it is absorbed into the bloodstream. This procedure lowers pressure inside the eye. But some people need another trabeculectomy surgery or other treatments for glaucoma.